With 21 branches nationwide, all locally owned and operated, we know New Zealand and we have the rental accessories you may need for either the summer or winter. Please check your branch to get a quote or book now using our obligation free, easy quote system. 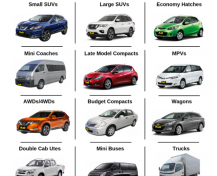 For a general list of accessories at RaD Car Hire, please see below. Most parents would agree, that travelling with children and all of their accessories can be very challenging. 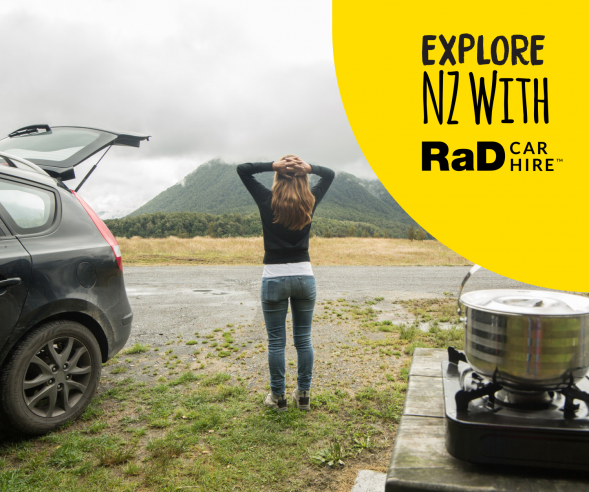 At RaD Car Hire we have children’s car seats and booster seats to hire, so that you don't have to deal with the stress of managing and packing large accessories. Each county has its own particular rules on car seats and booster seats for children. In New Zealand children from birth to around 13kgs are required to be in a baby capsule. Ideally this capsule is rear-facing and in the back seat. 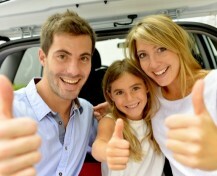 Children aged under 7 years must be in a car seat that’s appropriate for their age and size. They must not travel in the vehicle if you can't put them in an approved child car seat. This provides the best protection in a car crash, because the vehicle safety belt on its own doesn’t protect a small child. When a child turns seven they may move to a booster seat, this is the best protection for a child until they are big enough for the vehicle’s safety belt to fit correctly. Availability and pricing may vary across the country but you will always find great rates and excellent service no matter where in the network you start your hire. If you are travelling to a new place or country, a GPS Unit is a traveller’s must-have! No matter where you are on the planet, a GPS device always comes in handy. Using one of these helpful gadgets means you can reach your hotel with ease, travel to nearby attractions without going round in circles and arrive early to meetings in the city. Although many of us have an application on our phone to help us navigate, a GPS unit, frees up the phone to use for other reasons and burn valuable data. Typically a GPS unit is more reliable than a smart phone, especially in remote regions, as it only has one purpose. GPS units do not rely on a cell phone signal, have a long battery life (many also come with 12V car adapters) and are known for the accuracy in maps. 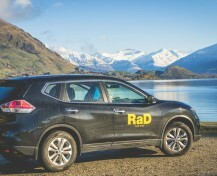 Please check for availability at your local RaD Car Hire Company. In New Zealand, seasons are opposite to those of the Northern Hemisphere. December means barbeques; outdoor sports and swimming at the beach, while the colder months of June and July mean natural hot springs and excellent skiing. If you are planning on skiing, it is reasonably common that the roads will be icy and open only for four-wheel drive vehicles or two-wheel drive vehicles with snow chains fitted. If you hire a two-wheel drive vehicle and plan on skiing, we have snow chains that you can hire. Snow chains are a set of metal chains that are fit around your tyres to give extra grip in snowy or icy conditions, but are removed once back to a clear road. At RaD Car Rentals we supply the correct size snow chains so that you will be safe and stress free on your skiing holiday. New Zealand is internationally known for its beautiful landscape, outdoor sports and camping. 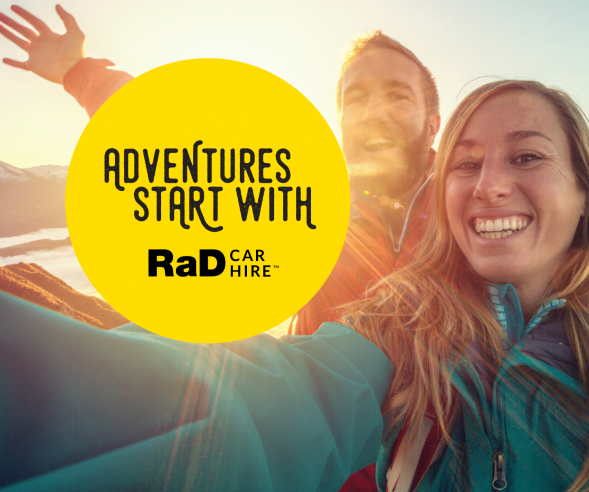 When you rent a vehicle from RaD Car Hire we have all the accessories you think you may need and other items you didn't know you needed! If you are hitting the slopes, you will most likely need ski or snowboard racks and if you are camping a roof box is an essential. It is important to transport skis outside of the vehicle to prevent them from hitting passengers and causing severe injury in the event of an accident. Roof boxes are fully enclosed carriers. This equipment protects your essentials from the elements such as sand, rain, rocks and road salt. 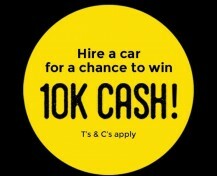 At RaD Car Hire we often add to our inventory of accessories for rent. 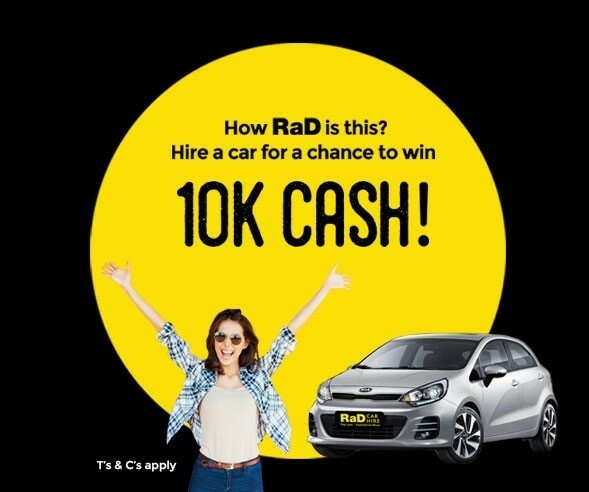 If you think of something that is not listed here, please call your local RaD Car Hire and ask for help.